“Wadjda” opens Friday at Sundance Cinemas. PG, 1:40, three stars out of four. 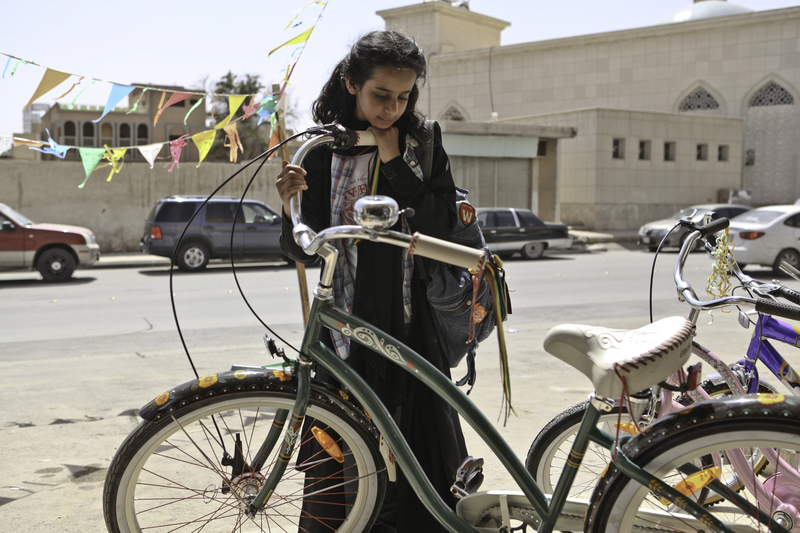 Wadjda wants a bike. She sees a beautiful bike strapped to the roof of a car, and it seems to be gliding in the air by her, just begging her to hop on board and ride. But bikes cost money. That is a problem for Wadjda, but not the biggest one. The biggest one is that Wadjda is a 10-year-old girl in Saudi Arabia, where women are not allowed to drive cars or vote.